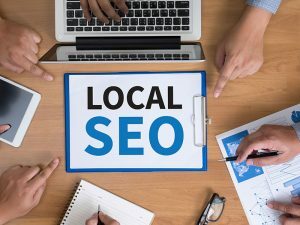 The objective of a local SEO program is to get you listed key directories, then rank your website in the top 10 position in major search engines. To do this, there is a lot more than just creating a bunch of links or submitting your site. In fact, we will give you the whole package, from writing your website content to be more regionally based and create schema code that gets your rankings promoted, and make sure your website gets on the first page of Google. Of the thousands of directories on the web that should list your business, we help you hone in on those directories you, then assure your listings are accurate in Yelp, Google, Angie’s List, and more. We’ll then make sure those directories and your website list you in major search engines. We handle all details. Monitor the results. Work to get to your goals. What makes you a top local provider? What kinds of resources, skills, workers, and experience do you have that you can bring to the table? What if this ultimately does not work and I do not see more visitors to my channel? Why should I even consider investing in such a service in the first place? Would I not be much better off finding my own audience base and trying to grow it “solo”? What is your past – and even present – business success rate by stats and numbers? How much will all of this cost me, and will it be well worth my investment? Will I need to continue to employ your services in the near future, or can you set me up once and for all? What types of training, guidance and other forms of mentorship do you offer, especially for those who are 100 percent new to the SEO world? What would you add to or take away from my website and why? We are happy to answer any of these questions and concerns, and happy to even provide referrals from some of our happy customers. Our team of seasoned SEO experts will work diligently to help you succeed. In fact, our clients have been with us an average of 3 years or more by showing continued success. That is a 97 percent retention rate Our philosophy is to keep you as a long term client, not as a one-time transaction. The more we engage, the more we grow: So, we encourage you to bring your own detailed list of questions to us so that we can better assess and service your every business need and show you a few more that you may not even be aware of. Give us a call to evaluate your case. We’ll do a free SEO website evaluation and help meet both your budget and sales goals. Read More.